This blog post describes how to automate the bare metal provisioning of physical and virtual machines through Razor. Razor is an open source tool and works perfectly with Puppet. 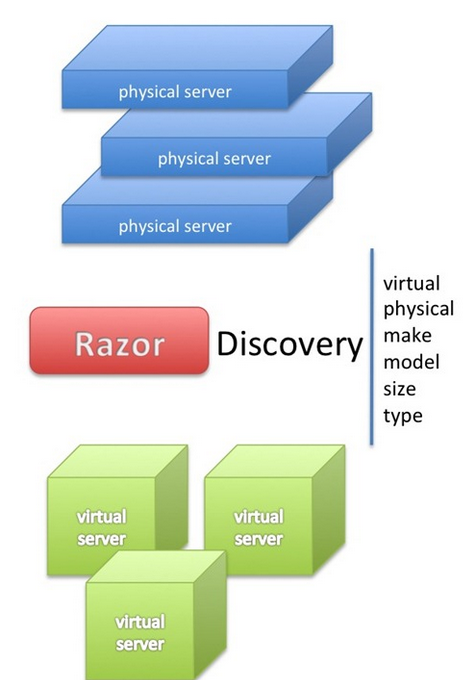 Razor is an open source tool created to automatically discover bare-metal hardware and dynamically configure operating systems and/or hypervisor. Razor makes it easy to provision a node with no previously installed operating system and bring it under the management of Puppet. Razor was originally developed by EMC and is based on Tiny Core Linux. The Razor microkernel is 64-bit only. Razor can only provision 64-bit machines. 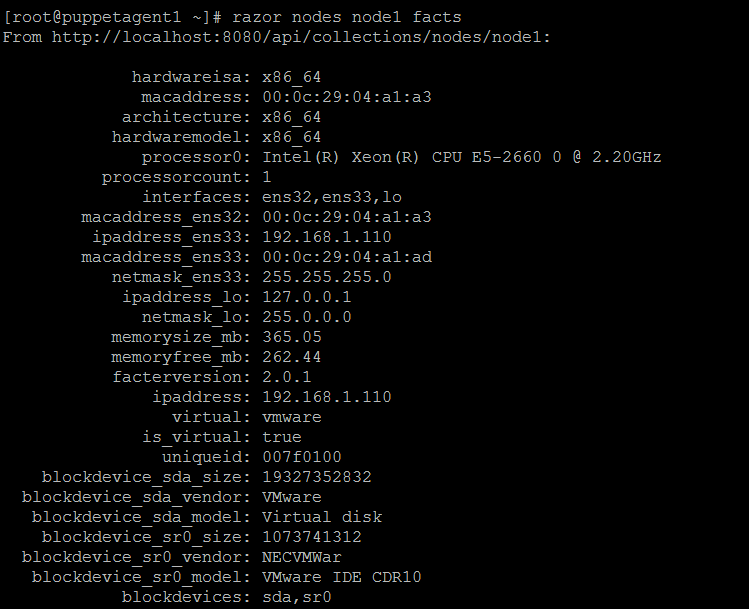 Razor has an ability to discover hardware via in-memory instance of Razor microkernel (aka Razor MK).The source code of microkernel is available at https://github.com/puppetlabs/razor-el-mk under GPL v2 license. Razor is completely open source which means one has freedom to build their own custom Razor MK images, which have the option to specify user accounts, the ability to enable remote SSH access for debugging, and for users to build and include custom Tiny Core Linux extensions to support unique hardware for their environment. Razor’s policy-based bare-metal provisioning lets you inventory and manage the lifecycle of your physical machines. Whenever a new node gets added, Razor discovers its characteristics by booting it with the Razor microkernel and inventorying its facts. The node is tagged based on its characteristics. Tags contain a match condition — a Boolean expression that has access to the node’s facts and determines whether the tag should be applied to the node or not. Node tags are compared to tags in the policy table. The first policy with tags that match the node’s tags is applied to the node. Repositories: It takes care of “What to install?”– It basically indicates the content to install on a system. To create a repository, either import an install ISO or point at an existing package repository. Tasks: It takes care of “How to install?” – Installation scripts such as kickstart files, preseed files and additional shell scripts. Predefined tasks are shipped with Razor, and custom tasks can easily be added without additional coding. Broker: It takes care of “How to manage?” – Post-installation scripts that install a configuration management agent on the node and enroll the node with the configuration management system. (e.g. – Puppet). Tag: It takes care of “Where to install?”– Boolean expression that use node facts and metadata. Tags are used to match nodes and policies. Policy: It takes care of “Combine it all?” – ordered table which combines all the above element in the form of YAML. 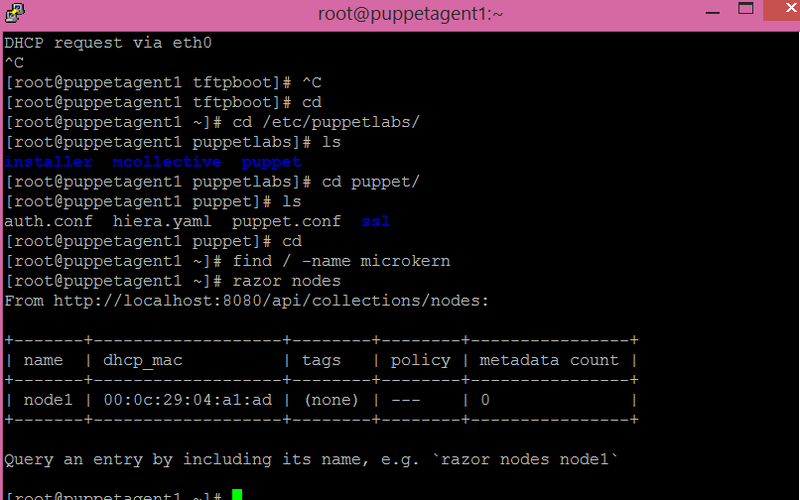 Here are the steps that need to be followed for setting up razor server on puppetagent1 machine. Download a pre-built microkernel from http://links.puppetlabs.com/razor-microkernel-latest.tar. The microkernel is based on Fedora 19. The microkernel needs to be manually put into your repo_store_root directory and cannot be added using the API. If you downloaded the prebuilt microkernel above, simply extract it into your repo_store_root directory. Doing so will create a subdirectory called microkernel with its contents. After you’ve followed one of the above installation methods, you should be able to go to http://localhost:8080/api and get the API entry point that will give you a JSON document that talks about collections and commands. Set the following configuration under /etc/dnsmasq.conf. This completes with the razor server configuration. Now let’s create a new VM and try to PXE boot. 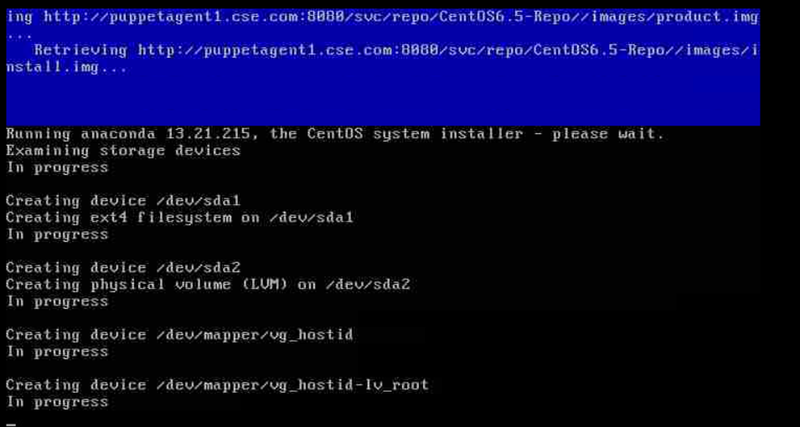 Finally after few minutes, a new CentOS 6.5 VM comes up. Razor provides real-time inventory data for every hardware node. Its auto-discovered ability eliminates inefficient, error-prone manual process. Razor effective uses IT defined policy to specify the desired state of each hardware node and its operating system, automatically tracks provisioning progress toward this state, and can even decide when to re-provision. This gives you full control over a node’s boot sequence and a complete log of its lifecycle. With RESTful open APIs, Razor gives you full programmatic control of the rules and models that govern operating system image selection and hardware provisioning.